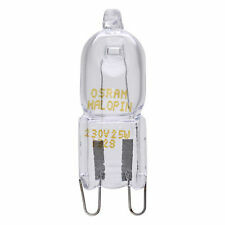 Osram 40watt 230V G9 Halopin oven lamp. Optimum Halogen content for high temperatures. G9 Halogen Bulbs. 40 Watt G9. 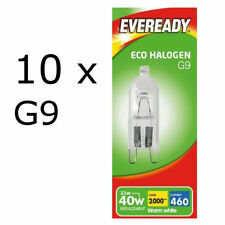 G9 Halogen. Halogen Bulbs. Cap/Base : G9. G4 Halogen Bulbs. Eveready bulbs have superior color retention and up to 8000 switch cycles with 2 years Lamp life. 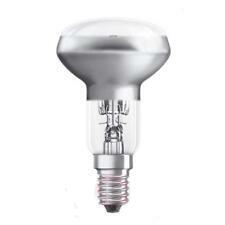 Perfect if you are looking for low energy efficient light bulb solution. Eveready have one of the largest selections. GU10 fitting. 40 Watt bulbs. 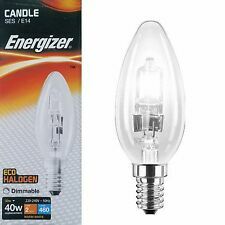 A 40W G9 Halogen bulb suitably designed to withstand the extra heat produced within an oven cooker. Power: 40W. can easily tolerate 300 C Temperature. Colour Temperature: Warm White. Glass Type: Clear. Power: Eco 28W = 40W. (Energy Efficiency Category C). Colour Temperature: Warm White (3000K). Length: 43mm (36mm glass bulb). Glass Type: Clear. The transfer of skin oils may cause a hotspot resulting in premature failure. 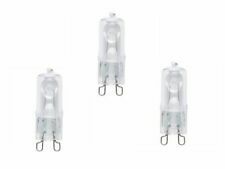 20w30w46w Halogen Clear Round Golf Light Bulbs BC ES SBC SES 25w40w60w Cheap! Used in baking ovens. Average life 2000hrs. Not for household illumination. Cap/Base : G9. 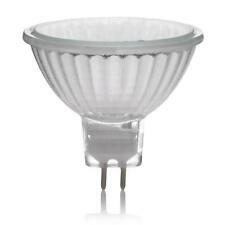 Manufacturer : OSRAM. Product Overview. Beam angle : 360 degrees. We have over 10 years of experience in the lighting industry. Power: Eco 28W = 40W. (Energy Efficiency Category C). Glass Type:Frosted. Colour Temperature: Warm White (3000K). 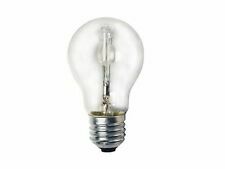 Length: 43mm (36mm glass bulb). Quantity: 10. Used in baking ovens. Average life 2000hrs. Not for household illumination. Cap/Base : G9. Beam angle : 360 degrees. In case of any problem we will help. Receive it within 12 hours from order! 100% Support! Aeg Oven Cooker Lamp G9 40W rated to 300 degree C.
Power: 40W. Glass Type:Frosted. Colour Temperature: Warm White (3000K). Length: 42mm (36mm glass bulb). Quantity: 10. 33W of Energy but 40w of brightness! Fully Dimmable specification. 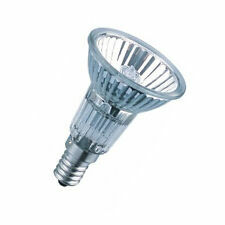 33 Watt = 40 Watt ECO Halogen Energy Saving light bulbs. 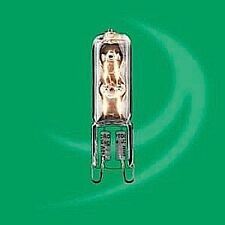 Quality Long Life Bulbs for sale are as follows Clear bulb spec. Safety fused.